Roolin Pebbles is leading service provider of Bicycle tours in Udaipur. If you are cycling or trekking enthusiast then turns on your passion with us, Udaipur is the most popular destination in India and suitable place to quench your adventure desire. Here we have quiet and beautiful landscapes, rich culture, and friendly people. So if you are willing to let loose yourself, then Roolin Pebbles is what you are looking for. 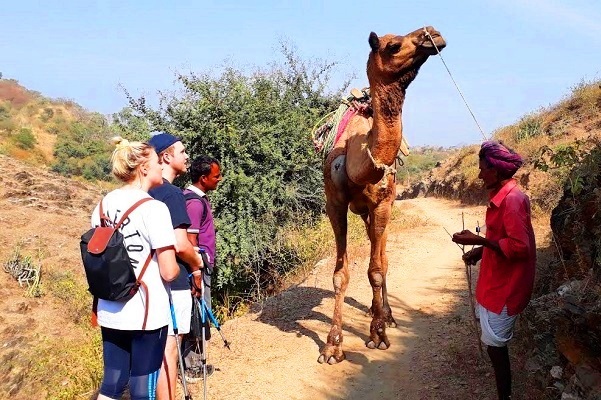 Our trekking routes and cycling tour in rajasthan are well rehearsed, safe, scenic, culture and nature oriented, through our trips you will plunge deep into our culture giving your travel experience a new edge. If you are looking for Cycling in Udaipur, then you are the right place. 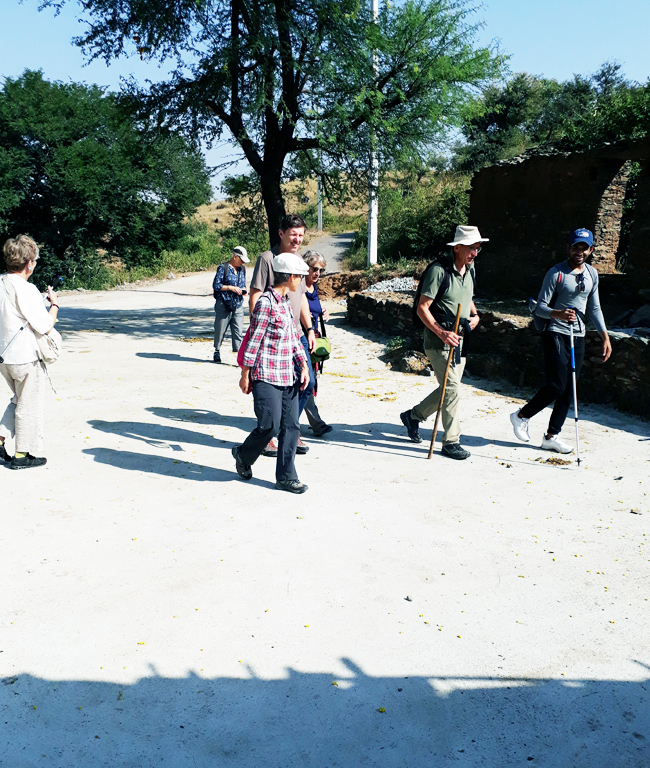 Roolin Pebbles, which is the best organizer of Trekking tours & bicycle tour in Udaipur always aims to make your holiday a real fun and educational at the same time. We will let you indulge in the local traditions, cultures, cuisine, lifestyles – something which will create a moment a memory which will last forever but at the same time we know you are our guest and your safety is our first priority. Contact us today for booking of affordable bicycle tour in Udaipur. 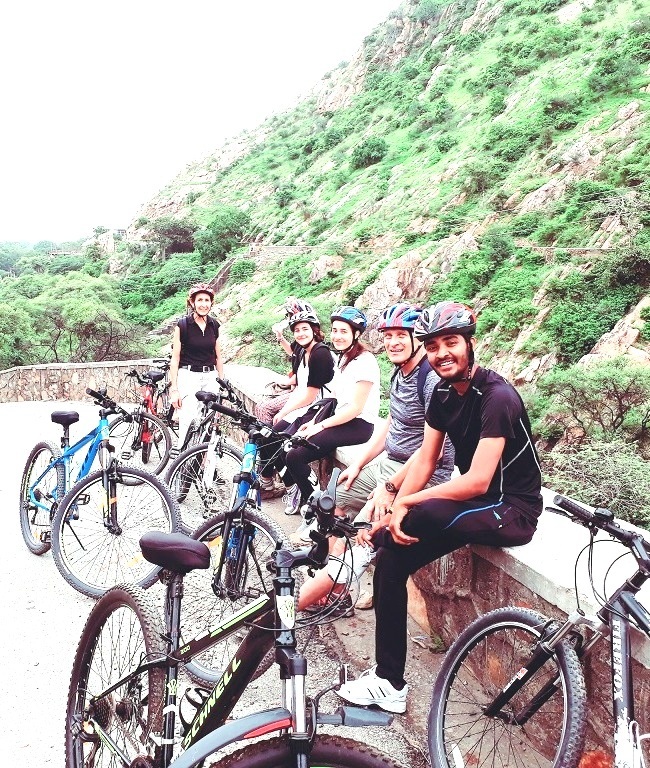 If you are looking for Cycling and Trekking in Udaipur, then you are at the right place. 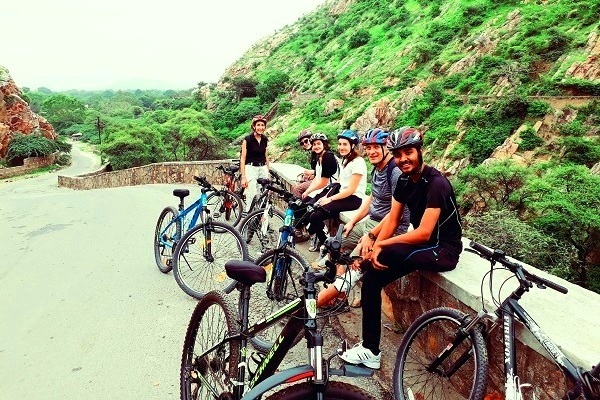 If you are looking for Cycling in Udaipur, then you are the right place. You benefit from the expertise of a specialist who likes to share his knowledge of the field through his creations. 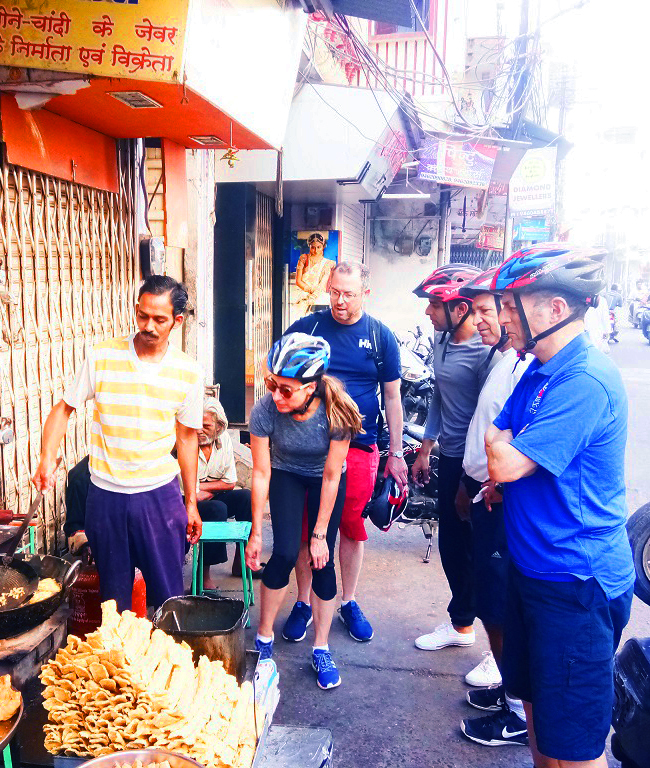 We cycled in the city and countryside, wandered in the hills and jungles and discovered some of the best routes for you..
We guarantee that we will endeavour to give you value for your money and work within your budget. Was part of a 2 week trip to India with 5 days of bicycling. All was coordinated through Roolin Pebbles. Terrific guiding and personal involvement from the guides and all other. High quality on the bikes as well. All in all 2 magical weeks and especially the bike rides. Highly recommended. A once in a lifetime adventure. Even though I'm not an experienced biker, I thoroughly enjoyed the bike ride to a lake in the mountain on the outskirts of Udaipur. The pace was great with lots of water breaks and a very accommodating guide for the speed of our group. The views alone are worth it! Fantastic tour! These people are such a pleasure! Very professional, prompt, organised, and knowledgeable. Thier English is great and their spunky energy is refreshing. In one day we got so much done, so many interesting sites, but never rushed. These rolling pebbles are amazing and we literally drifted away with rolling wheels of our bicycles. Phenomenal! Kept us one step ahead of the larger, impersonal group tours. They got us great deals too! Will definitely book again without hesitation. Contact us today for booking of affordable bicycle tour in Udaipur.